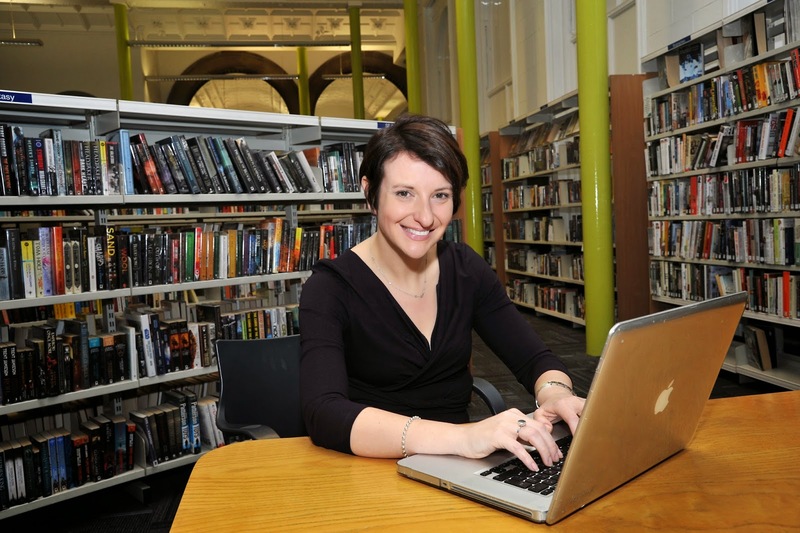 Caption: Councillor Lucinda Yeadon tries out the free Wi-Fi at Leeds Central Library. A new digital chapter for Leeds has begun with the launch of free Wi-Fi at the city’s central library. Alongside Leeds Art Gallery, the library is one of two pilot sites for an ambitious city-wide programme which aims to have free Wi-Fi available at 103 council-owned public buildings by the end of January. Other venues will include local libraries, leisure centres and the City Museum, with public internet expected to be available at those sites in the New Year. Free access in libraries and other council buildings will allow the public to use their own devices to surf the web using Wi-Fi enabled smart phones, tablets and laptops. It will also help to improve the experience for visitors to museums and galleries, hopefully making their tours more interactive. “This project will be a huge leap forward for our ambition to get Leeds online and we couldn’t have picked two better pilot sites to highlight what a difference it will make. “Wi-Fi is an integral part of life in Leeds today, and providing it for free at all our public buildings will mean we can ensure thousands more people are able to take advantage of the huge wealth of opportunities the internet can provide. “By just popping to their local library or community centre, local people will be able to search for jobs, information or leisure opportunities on their own devices and make the internet work for them. The free Wi-Fi project is part of the Super Connected Cities programme that has already seen free internet made available for the public to use on Millennium Square and Briggate. This latest phase is especially designed to help households which may still not have any form of internet access at home. Other sites that will have free Wi-Fi available include the council’s one stop shops, other museums and children’s centres.